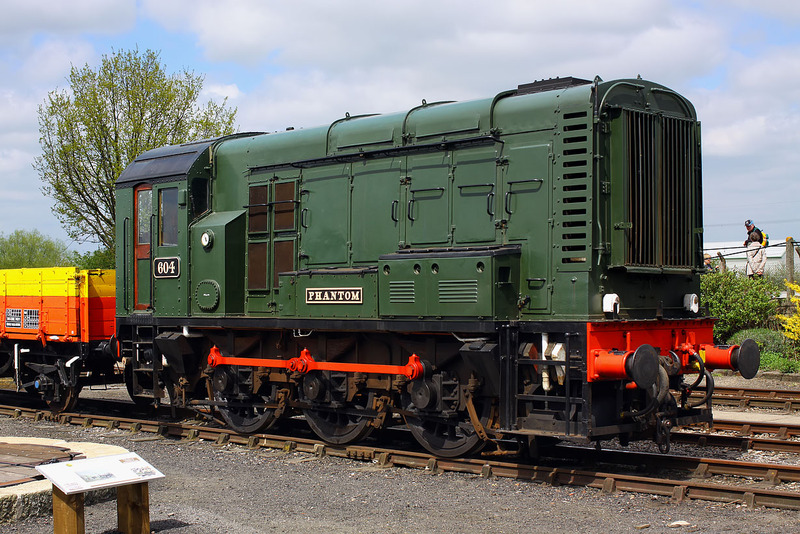 08604 Phantom stands in the sunshine at the Didcot Railway Centre on 5 May 2013. Phantom became well known in the 1980s when it was based at Tyseley, by virtue of its fully lined green livery. Since arriving at the Great Western Society, it has received a rather plainer green colour scheme, as well as cast '604' GWR style numberplates.